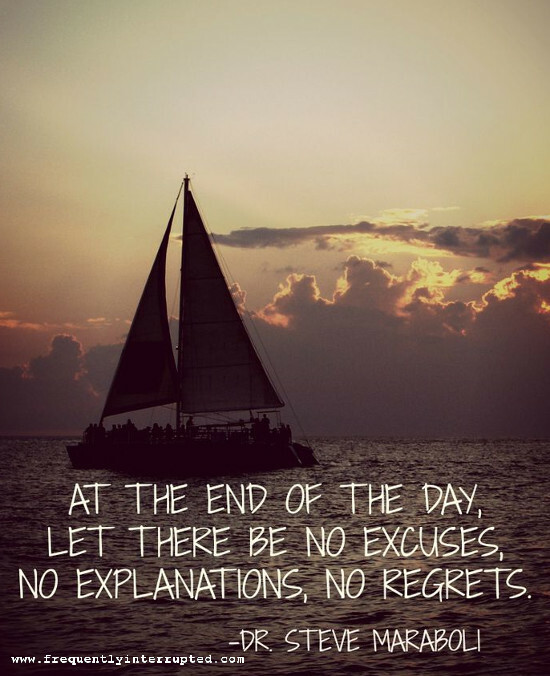 End your day with no regrets. Ideally, let that be because you have done nothing which would warrant regret, but we all slip. We all make mistakes. End your day without regret anyway. What is done is done. You cannot go back and do it again, and regret will change nothing. Instead, look forward with a new resolve. An improving life is far better than a regretted past.